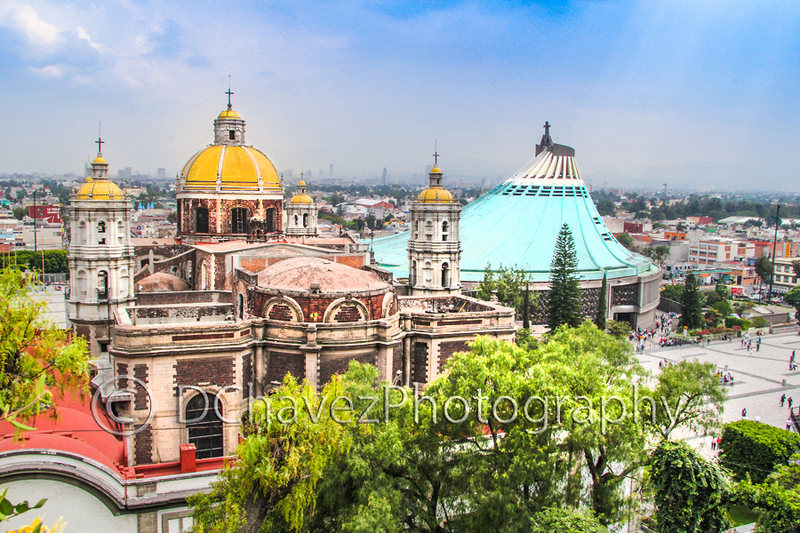 View from Tepayac Hill – the dome and bell towers (left foreground) are of the original Cathedral completed in 1709. The turquoise dome (background right) is of the new ultra-modern circular basilica which was completed in 1976 and can accommodate up to 50,000 people! I was there in 1974 and the new building was not there. Interesting to see it now.